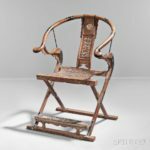 Richard Kenworthy, Former Professor of Architecture at Auburn University in Alabama and Asian Art expert discusses collecting with Melanie Mitcheson, Skinner’s Auction Coordinator. What are the Asian countries represented in the current auction? BOSTON, Mass. 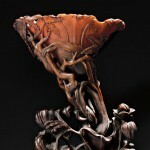 – April 4, 2013 – Skinner, Inc. will host an auction of Asian Works of Art on April 20th in itsBoston gallery. The spring auction features various art forms from China, Japan and Korea including Chinese textiles and Tibetan artifacts, as well as paintings, rhinoceros cups, furniture, porcelain, and scholar’s objects.